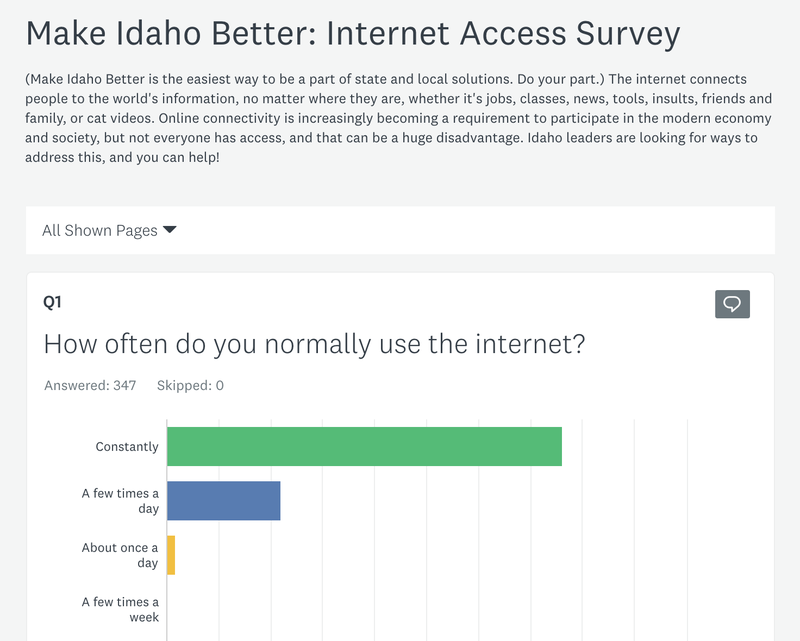 Idaho leaders are looking for ways to address this, and you can help! 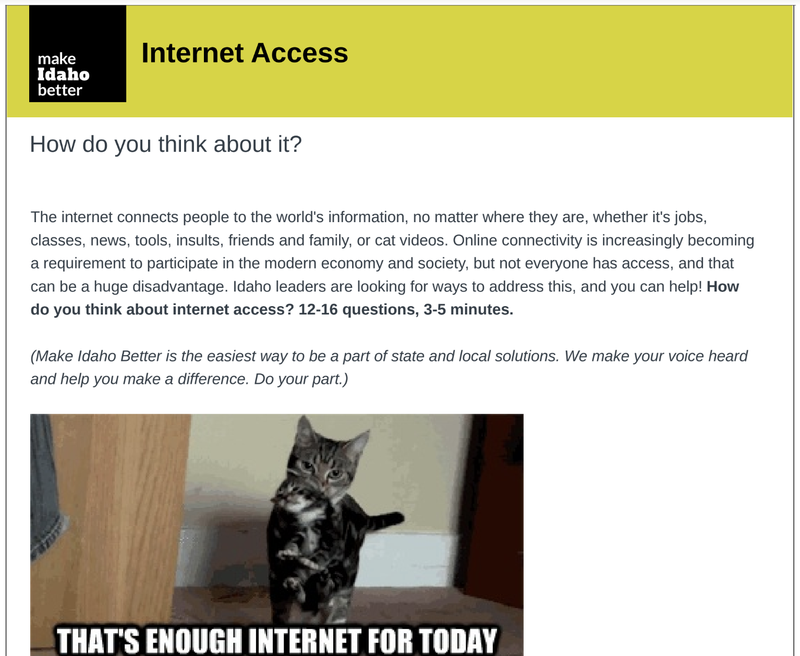 How do you think about internet access? 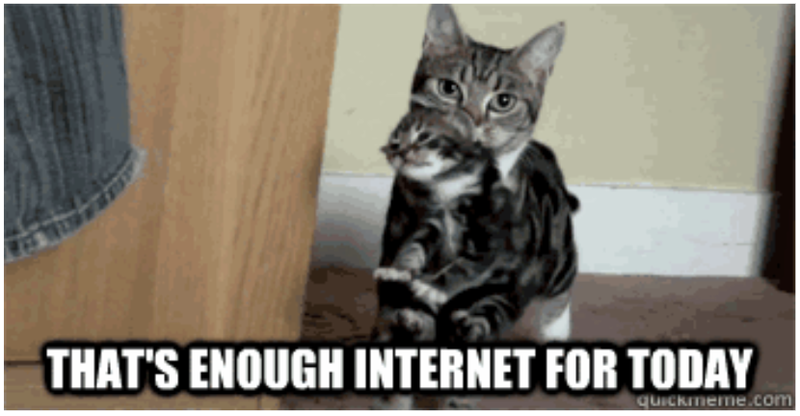 12–16 questions, 3–5 minutes. 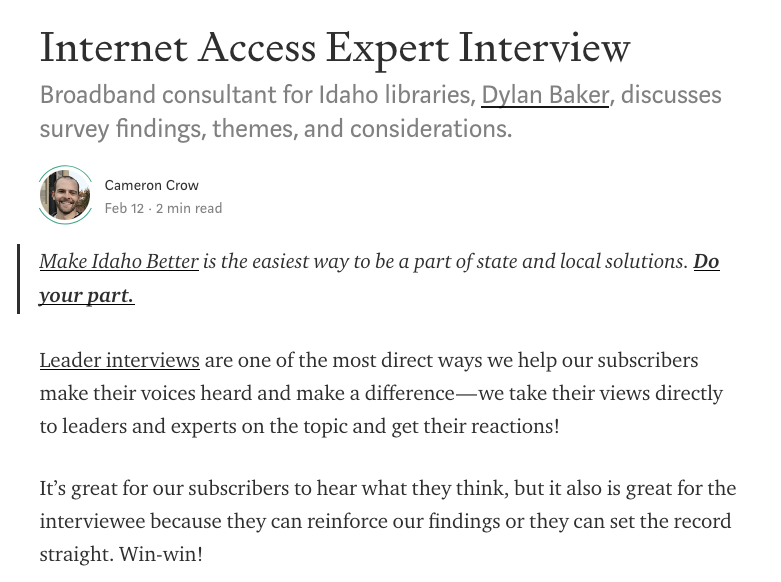 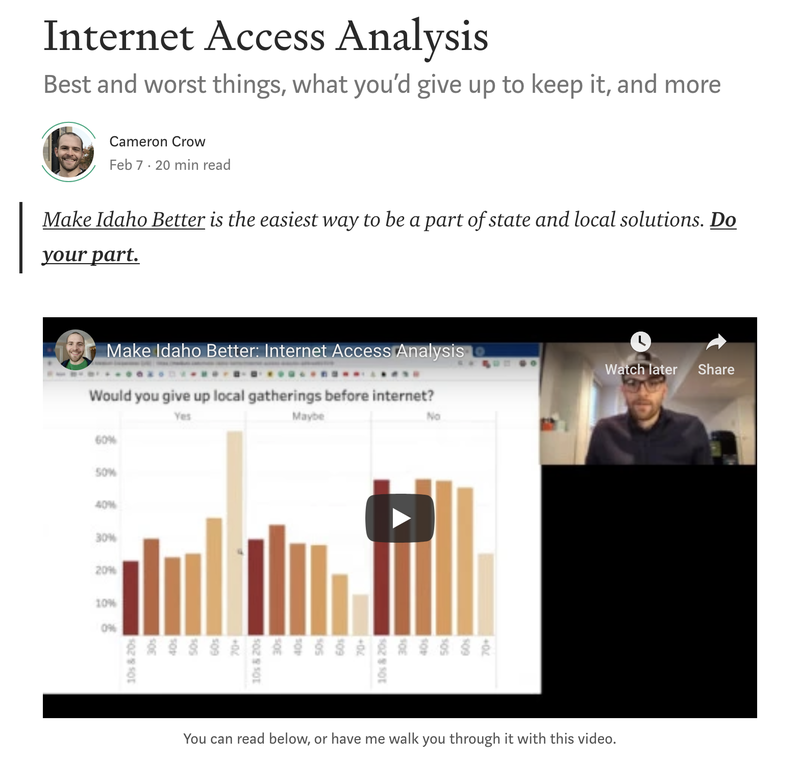 Here’s my recorded interview with Dylan Baker, Broadband Consultant for the Idaho Commission for Libraries.